"Without fear of molestation from the civil authorities." That's a prayer phrase that I heard growing up in many (if not most) of the prayers prayed in church on Sunday mornings. It was right up there with phrases like "ready recollection" and "guide, guard and direct" (which usually came out as one word "guideguardndirect") and other things that I really didn’t understand but repeated in my own prayers nonetheless. Well, I knew what the words "without feat of molestation" meant, but I didn’t really understand that this was really a big problem for churches this side of the Roman empire. After all, I when started to Deer Park Elementary School back in the early 60’s, we still began each day by reciting the Lord’s prayer and absolutely no school activities were ever scheduled on Wednesday nights because that was church night. We didn’t fear molestation from the civil authorities. Even after Madeline Murray O’Hare’s work to remove prayer from the schools (much of which seems to have taken place after her death, if you believe the bulletin articles and email that still occasionally find distribution). The idea of the civil government actually molesting (OK, I always found that word a bit strange) people because of their faith seemed rather remote. And to a degree, it still does. But it doesn't to Jamie Murray, the owner-operator of the Salt and Light Café in Layton, England. As you might infer from the name of his establishment (Matt 5:13-16), Murray (no relation I trust to Madeline Murrat O’Hare) is a Christian who operates his business in a way that gives honor to God. Since the café opened eight years ago, Murray has been playing Bible texts over the TV screen that can be seen by patrons. Just Bible verses and Bible messages running innocuously on the wall mounted screen. Well, these messages weren’t innocuous to one patron who was offended by the message, and rather than just going to some other establishment for fish-and-chips, he complained to the police who responded by forcing the TV’s to be turned off as a violation of Section 5 of the Public Order Act. When Mr. Murray prays about "molestation by the civil authorities," it is no stock prayer phrase to him! Neither is it a stock phrase to Youcef Nadarkhani, a Christian minister and leader of a network of Christian house churches in Iran. Bro. 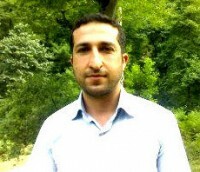 Youcef is in prison in Teheran and might possibly be executed by the time you read this for his refusal to recant his faith in Jesus Christ and convert to Islam. In Iran, it is not technically illegal to be a Christian, but it is a hanging offense (literally) to convert from Islam to Christianity. The Iranian government insists that because Nadarkhani's parents (or perhaps grandparents) had been Muslim, then he was under law Muslim… even though he had not ever practiced that religion. While there are many others in Nadarkhani's position in Iran, none is so prominent in leading Christian churches, and thus the fundamentalist Islamic government is going to make an example of him because of it. Pray for our brother believer in Christ and all our brothers and sisters who live in a situation where "molestation by the civil authorities" because of faith in Jesus is simply a way of life. We take so much for granted, don’t we?